Valerie L. Murphy is a Senior Attorney and Certified Family Law Specialist who joined Cullen, Murphy & Naples as an Attorney in early 2008. Attorney Murphy's legal focus is on family law matters including divorce, termination of domestic partnerships, custody and visitation, establishment of parental relationships (paternity), domestic violence, division of community property, child support and spousal support. Attorney Murphy has over 25 years of experience in family law. She started her legal career as a legal assistant in 1993 before becoming an attorney in 2005. Her legal career has continuously focused on matters involving family law, and she takes great care in providing for clients' legal and emotional needs. 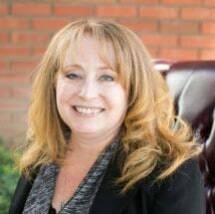 Attorney Murphy has extensive legal experience that has been obtained in the private sector with private law firms located in the Riverside area as well as the public sector with the Riverside County Department of Child Support Services. Attorney Murphy earned her Juris Doctor Degree from California Southern Law School, where she graduated in the top 1% of her class. She also completed her bachelor's degree in the area of Political Science at California State University, San Bernardino. Following her excellence as a student and graduate of California Southern Law School, the law school invited her to teach and she is now a professor of community property at California Southern Law School. Attorney Murphy is currently an active member of State Bar of California. She licensed to practice law in the State of California as well as the U.S. District Court Central District of California. Attorney Murphy is also a member of the Riverside County and San Bernardino County Bar Associations. Attorney Murphy is a skilled attorney and an aggressive yet balanced advocate for her client. If you have any family law legal issues that you would like to discuss with Attorney Murphy or any of our lawyers, we invite you to contact our office today for a confidential consultation. From our offices in Riverside, California, we represent clients throughout Riverside and San Bernardino Counties, including the communities of Riverside, Eastvale, Norco, Corona, Temecula, Hemet, and Murrieta, Lake Elsinore, San Bernardino, Chino, Highland, Redlands and Rancho Cucamonga.